What does ERA CoBioTech strive to achieve in the next 5 years? How will ERA CoBioTech do this? 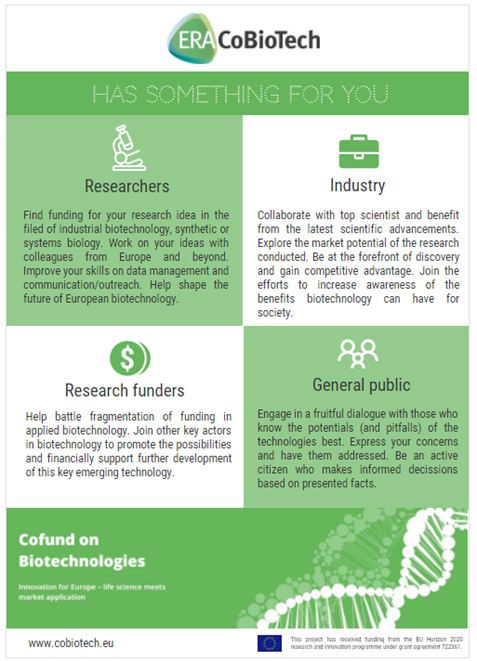 By creating the Biotech Hub, bringing together key actors from different European strategic configurations and instruments to create an understanding of the possibilities offered by the technologies among different target audiences.